Lia Cook’s extraordinary textile works are valued among collectors and Museums as the most exciting in her genre. Lia’s newest works include Dollface. When woven into this large scale, a kind of alchemy takes place in which the image comes to life, innocent but somehow menacing or even accusing in a way that ceaselessly fascinating. Concurrent with the exploration of the cultural, political and human meaning of cloth, Lia has explored the technology of cloth making, and in particular the jacquard process and its application to contemporary art. 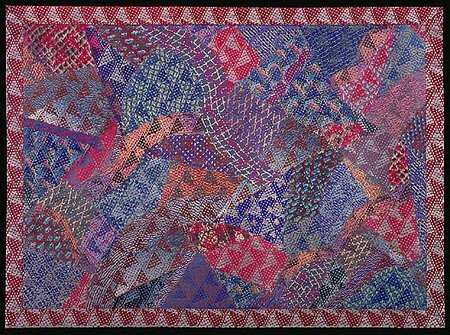 She received an NEA grant in 1981 to study historic examples of Jacquard weaving in France and England. 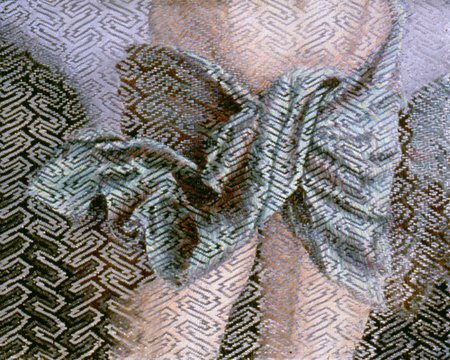 Since that time she has participated in a number of artist-residencies and jacquard projects which have ranged from the re-creation of old silk techniques at Lisio’s in Florence, Italy, to state-of-the-art computer Jacquard technology in Germany. Lia in her recent work uses an electronic Jacquard hand loom to weave faces that dissolve into continuously changing maze-like patterns. 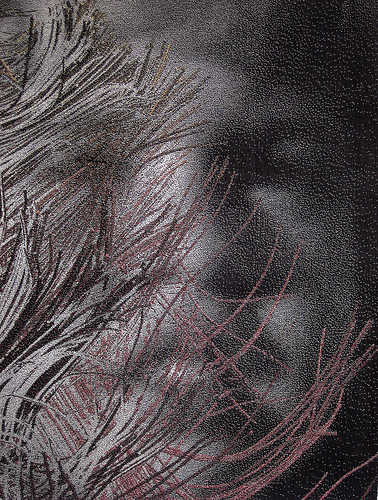 As the faces fragment, a perceptual shift occurs, moving through a place of transition and ambiguity to reveal the physical, tactile nature of the constructed image. 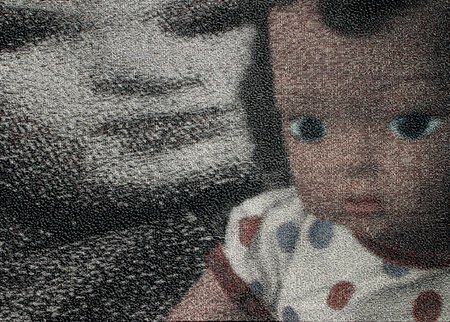 Drawing on familiar and childhood sources, Cook uses a detail, often re-photographed, layered and re-woven in oversized scale, to intensify an emotional and/or sensual encounter. This technology allows for potentially infinite complexity, detail and scale of image, an image that is actually part of and embedded in the physical structure of cloth itself. Each thread can now be operated independently and immediately without the use of punch cards. This technological development allows the artist ultimate flexibility, immediacy and control of the imagery in the creation of cloth. Lia Cook is currently Professor of Art at California College of Arts and Crafts and Chair of the Textile Department. She works in a variety of media; usually combining weaving and painting, photography and digital technology. Her recent work explores the sensuality of fabric and the human response of touch. 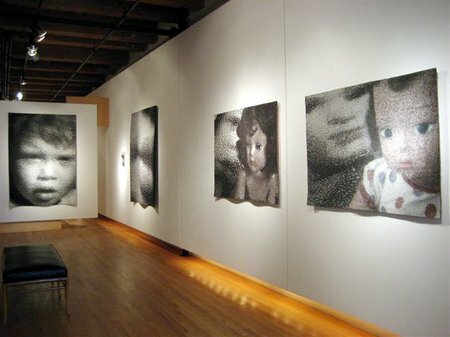 She has exhibited her work nationally and internationally for over 25 years, including a retrospective organized by the French government in 1983 and a traveling survey exhibition organized by the Oakland Museum and exhibited at the Renwick, Smithsonian Institution, Washington DC. She has received several National Endowment for the Arts Fellowships. She has received a Distinguished Faculty Award and Exhibition from CCAC and a Distinguished Alumni Award from the University of California, Berkeley. Her works are in the permanent collection of the MOMA NY, Metropolitan Museum of Art, Smithsonian Museum, Washington DC, National Collection, France, De Young Museum, San Francisco, Oakland Museum, Musee Bellerieve, Switzerland among others..
what kind of jacquard Loom are you using ?